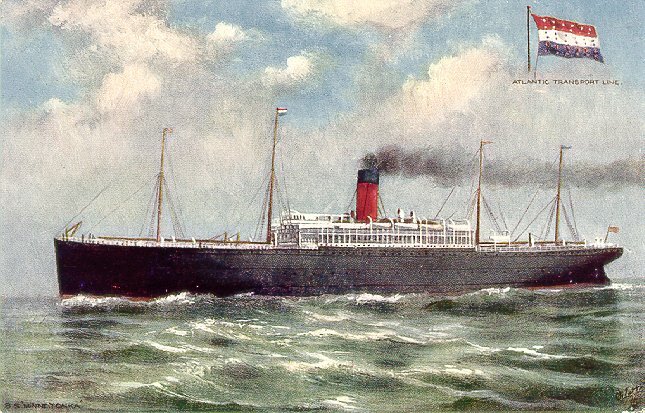 A product of Harland & Wolff, Belfast, Atlantic Transport's first Minnetonka was launched in December 1901. 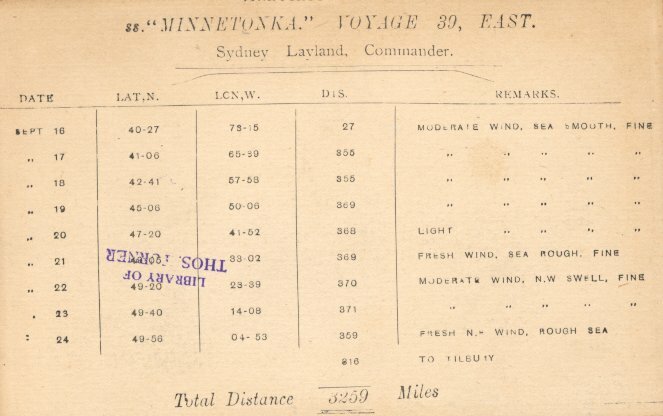 The youngest of three sisters -- Minneapolis and Minnehaha were the others -- Minnetonka made her maiden voyage, Belfast-New York-London on 17 July 1902. She then entered ATL's regular London-New York service. 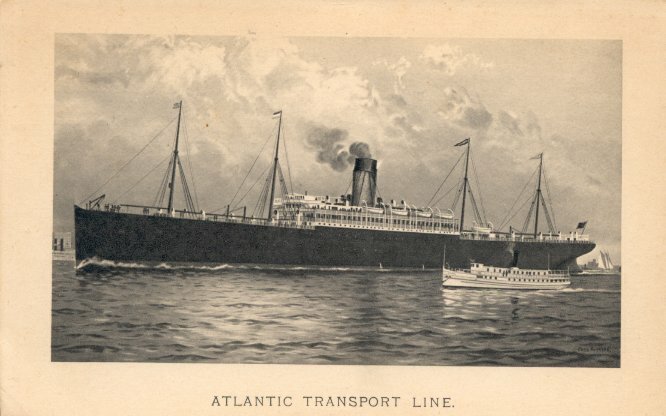 She made her final ATL sailing on 31 December 1914, and was then taken over as an armed auxiliary transport. 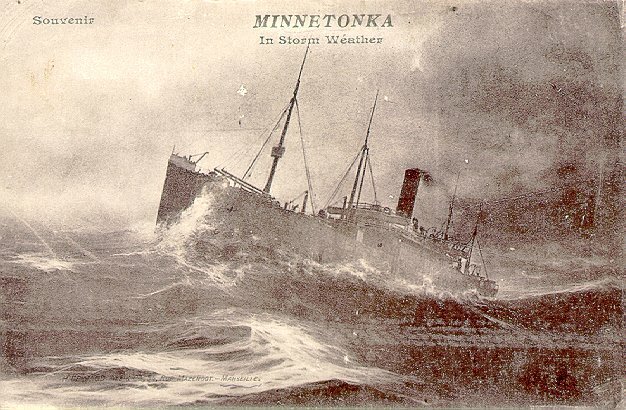 On 30 January 1918 Minnetonka was torpedoed by U 64 and sank off Malta, a war casualty like her sisters. At the time, the ship was carrying mail from Port Said to Marseilles, and there were no troops aboard; all four of the fatalities were crew members. Sources: Bonsor's North Atlantic Seaway; Williams' Wartime Disasters at Sea; Haws' Merchant Fleets in Profile.